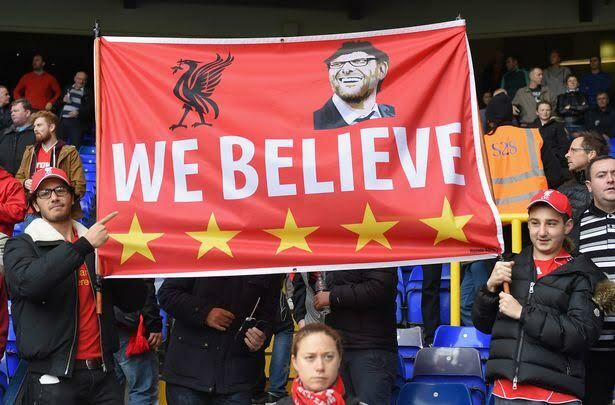 New Liverpool manager Jürgen Klopp is excited about making his Anfield debut tonight for the Europa League clash with Rubin Kazin, and has said: “That is what we are all waiting for — one of these special moments” as he looks forward to hearing the Kop in full-voice. “I cannot say too much about the atmosphere at Anfield, I want to go there, I want to feel and see it. “If someone wants to surprise us and be louder than they ever have been in their life, try to do it. That is positive. “This game is very important and we have to be patient in a football way. We have one advantage and this is that we play at home. “I had it at Dortmund and at Mainz before that. “The point is that you don’t have to play at that tempo for 90 minutes. “When you have the ball, for instance, you don’t have to run around like crazy. It is just at the start [of the transition] when you are trying to get it back.